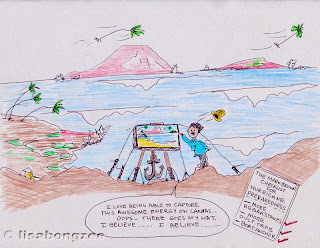 This past week, I have been watching the "Billabong Pro Tahiti" with guys surfing the gnarliest barrels at Teahupo'o. 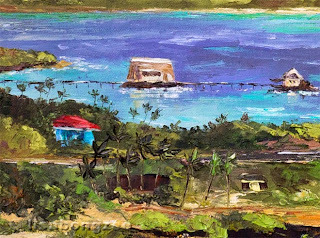 Thought it might be fun to try painting a little Tahiti for a change! 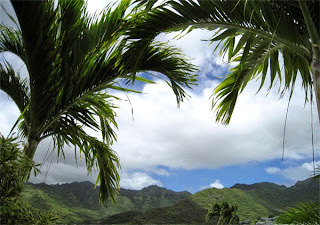 Pohaku Park is such a picturesque spot. 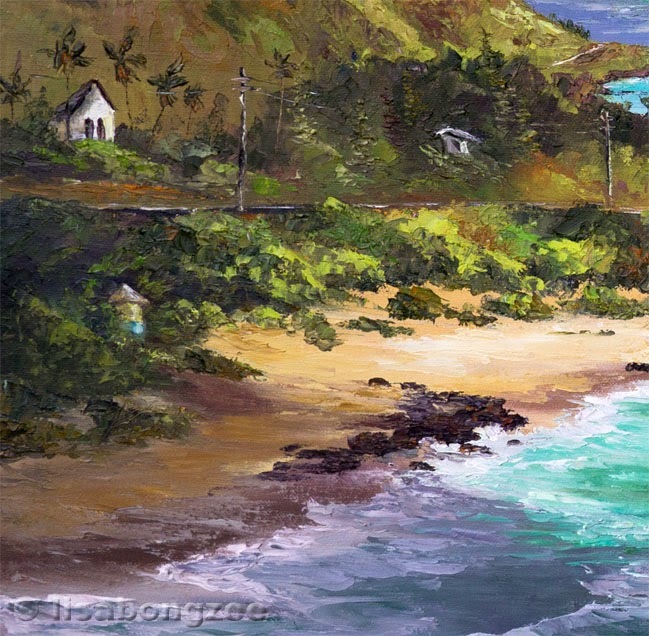 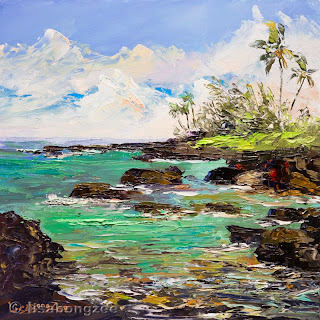 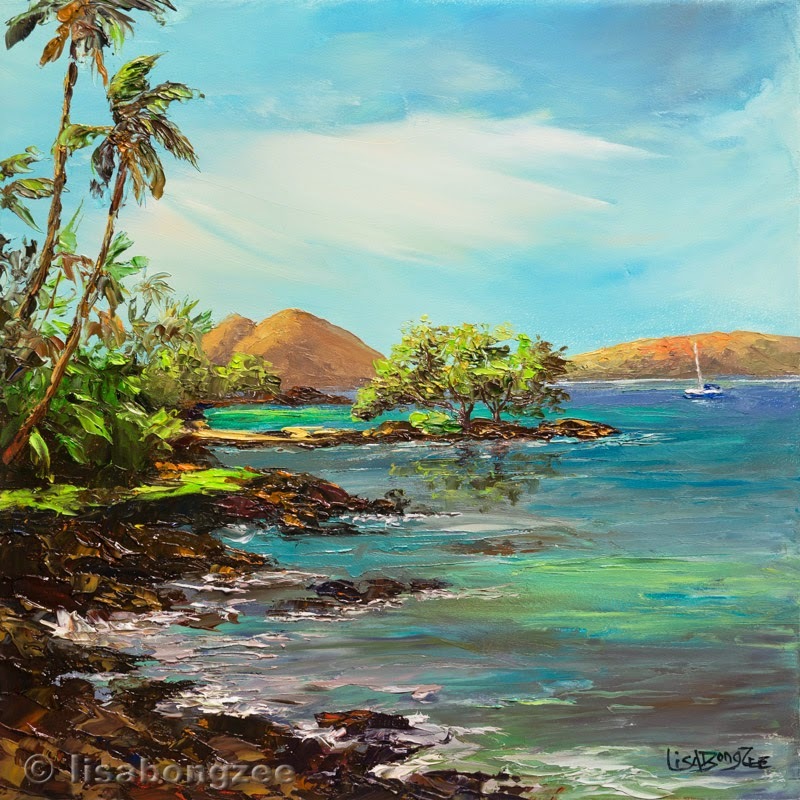 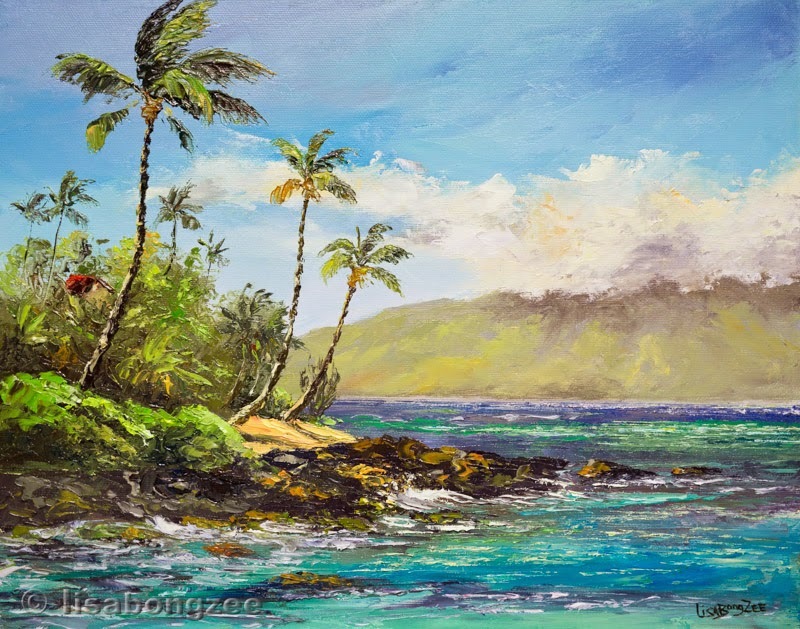 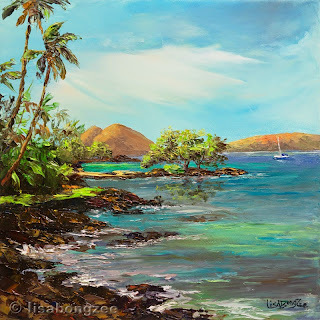 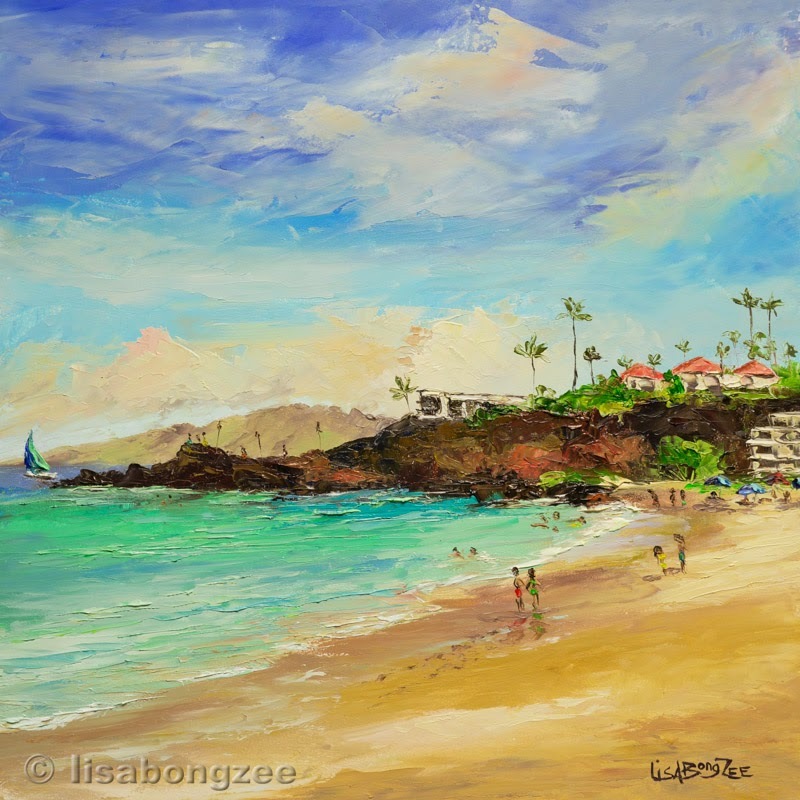 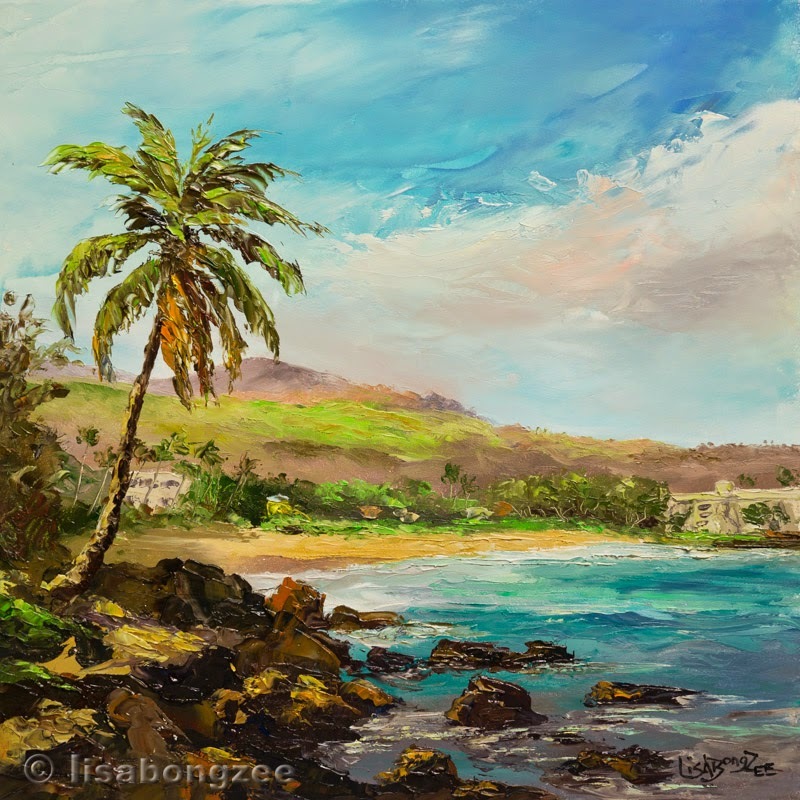 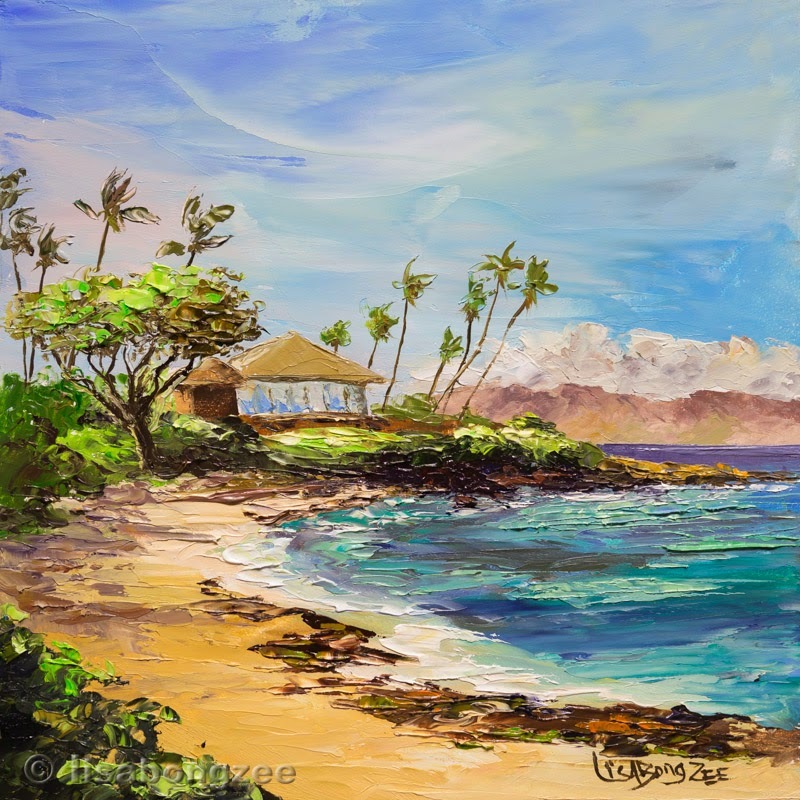 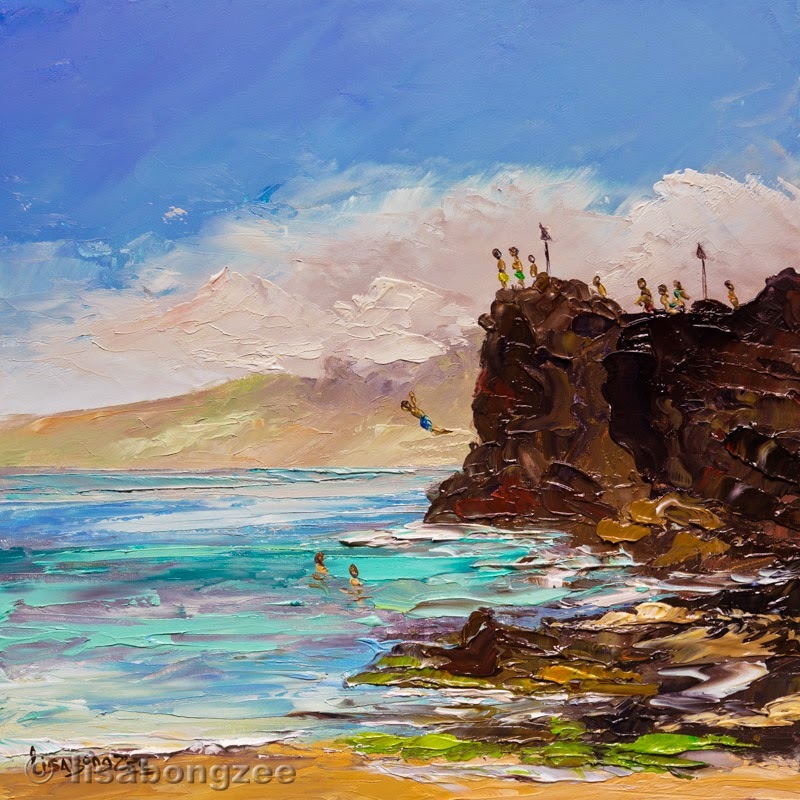 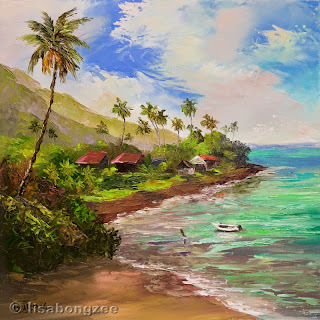 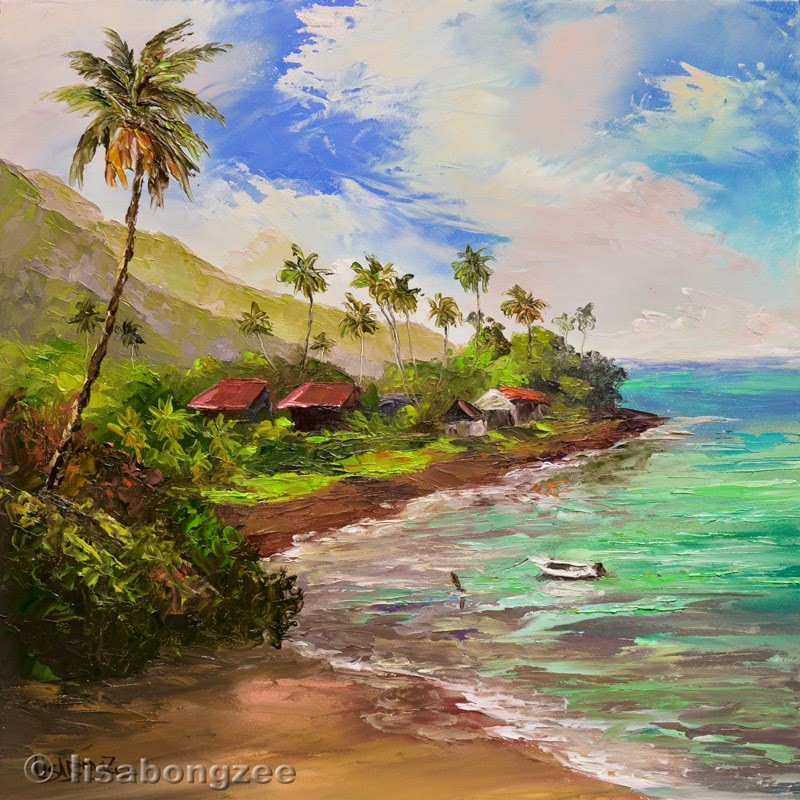 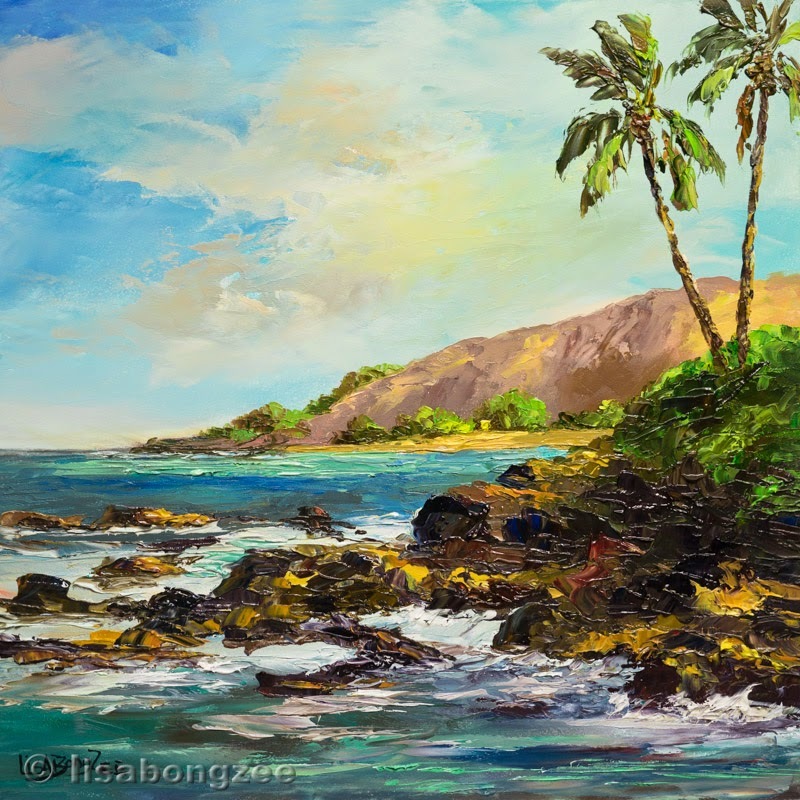 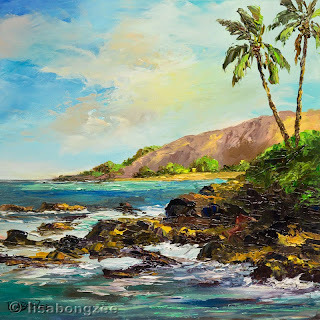 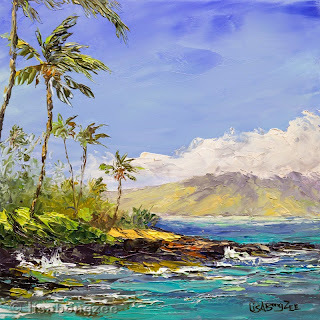 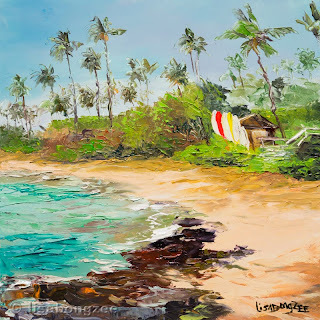 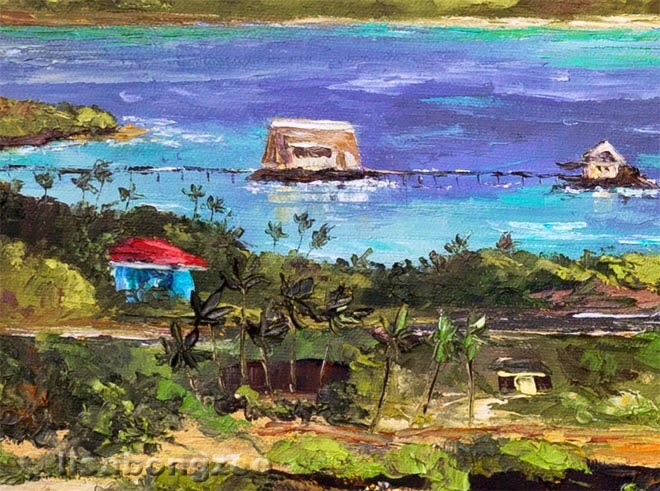 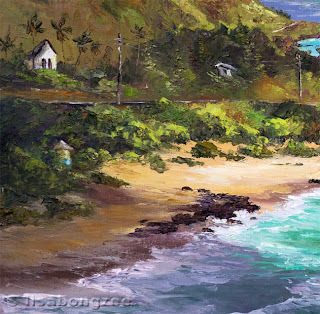 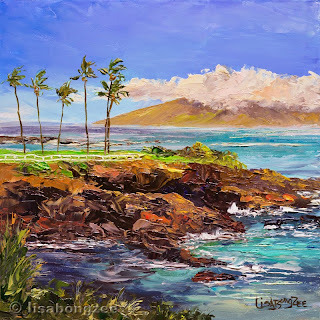 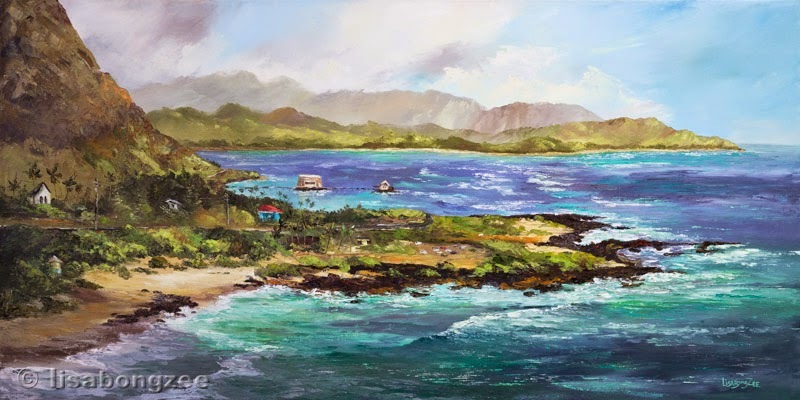 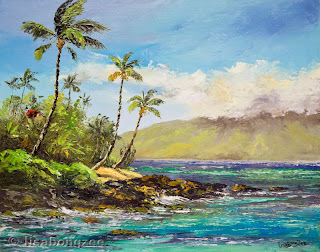 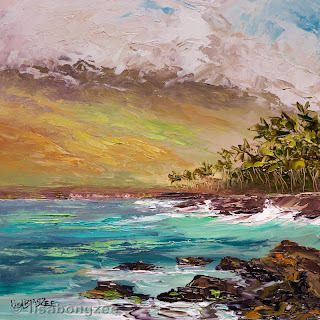 With it's tropical palm trees, shimmering turquoise waters, and the island of Lana'i in the background, it is one of my favorite Maui scenes to paint! 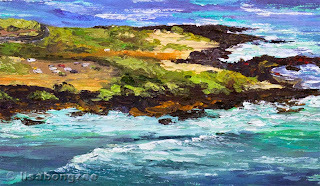 Having been painting many small 6x6's over the past few months, I decided to see if I still remember how to paint larger. 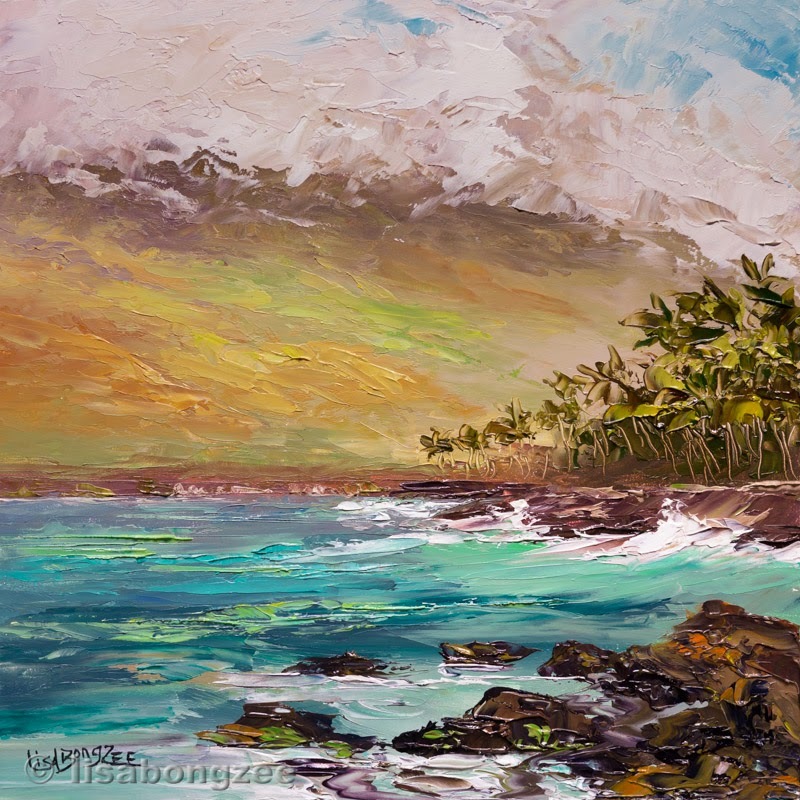 Here is an 18x36 scene of Makapu'u that I have been working on recently. 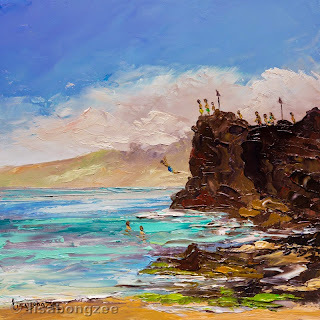 "Makapu'u ~ Mauka To Makai Pier"
Yes, I am back on Maui once again ~ well, in my mind anyways. 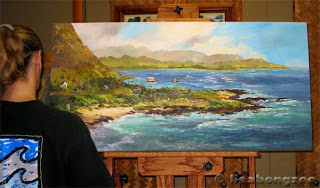 Here are a few "larger-than-the-mini's" that I have been working on since we returned from the Valley Isle. 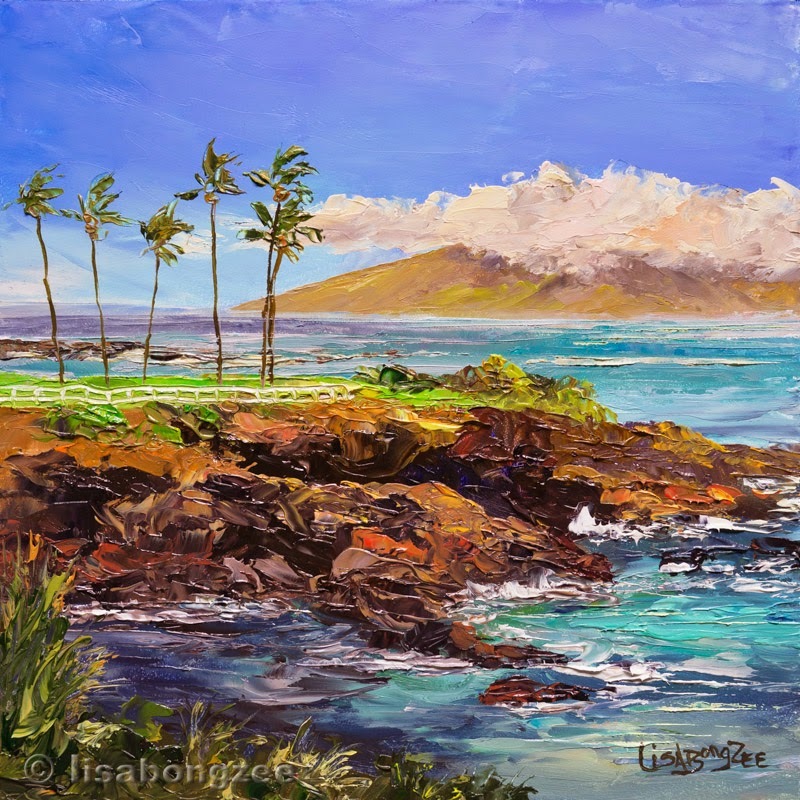 Each one is 8x8 and comes framed in solid wood. Well, they are on their way. Iselle & Julio ~ back to back hurricanes ~ just about to cross paths with the Hawaiian Islands. 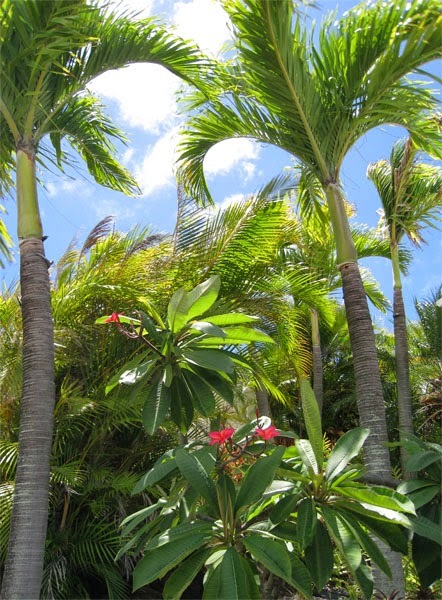 You would never think by looking outside that we are due for some nasty weather, it is gorgeous and sunny right now. I did spend the entire morning giving my 30+ Manilla and Fan Palms some major "haircuts", just to be safe. 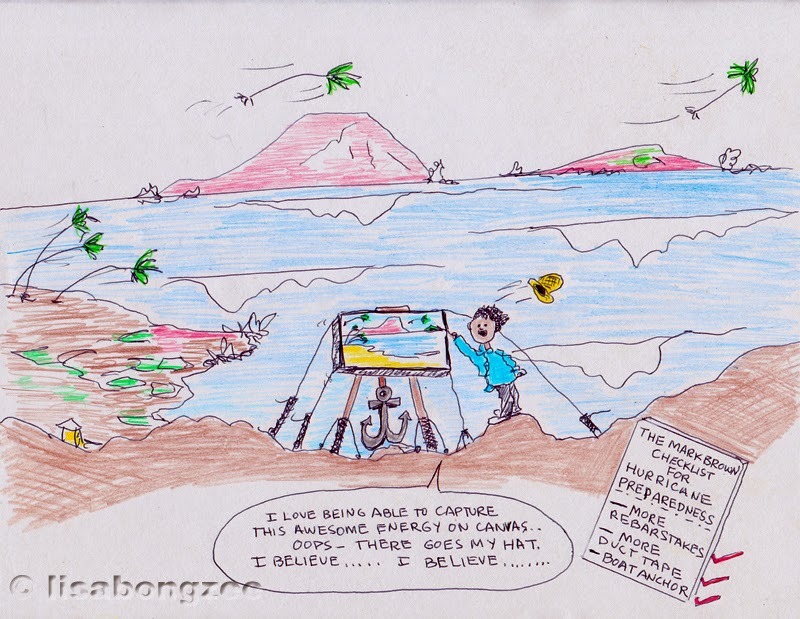 I just came across my "Mark Brown Hurricane Preparedness List". 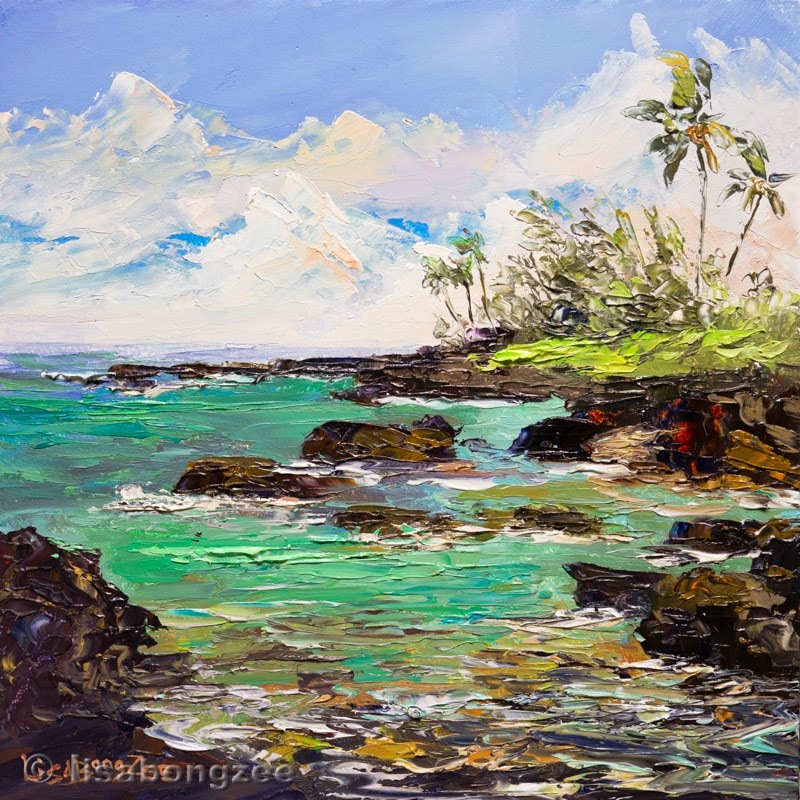 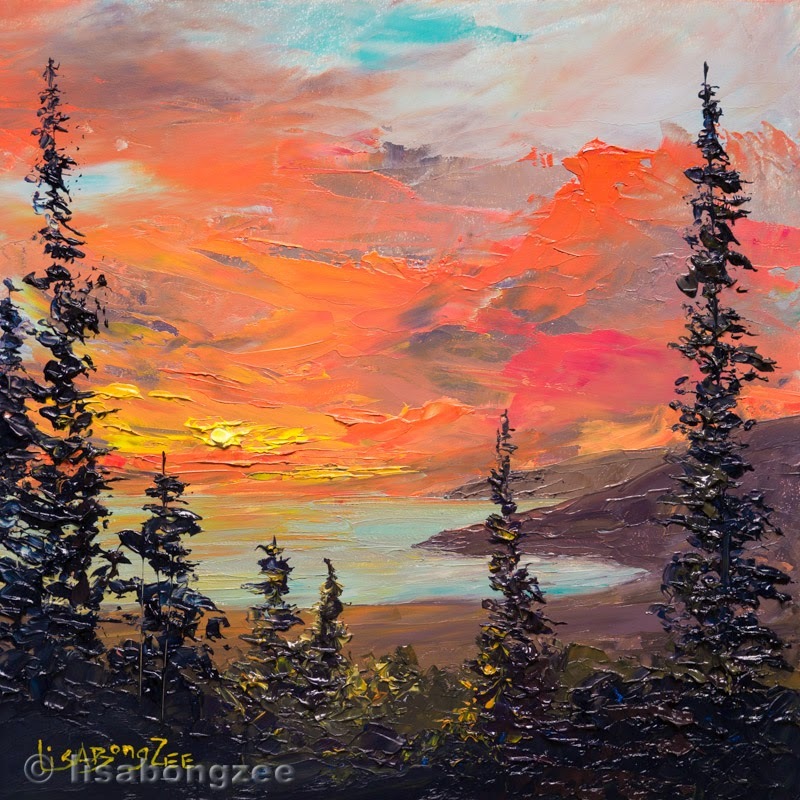 Here are some of my latest 6x6 Maui original palette knife paintings. 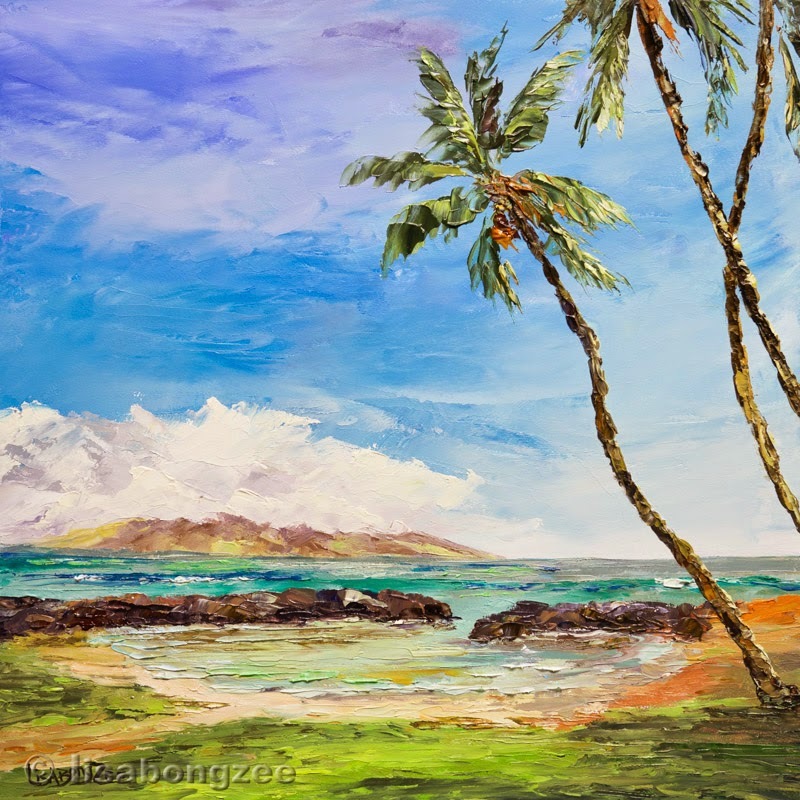 Each one comes framed in solid wood.